Don’t look now, but those masters of the universe who arrogantly whistled past the greatest credit bubble and bust in history are again gracing the covers of popular business magazines. For example, the October 12 issue of Barron’s featured none other than Bill Miller “riding high again as one of America’s top fund managers.” Yes this is the same Miller who beat the S&P 500 15 years running, was named “Fund Manager of the Decade” by Morningstar.com in 1999, and anointed “greatest money manager of our time” by Fortune in November, 2006. Like at least 90% of those in the investment industry, Bill Miller expects – no, demands – that government to step in and backstop his risk taking. When the feds are powerless to do so and overwhelmed by market forces, he whines like a baby. When he rides a wave of artificial stimulus (Value Trust is +37% year-to-date) he attributes his oversized gains solely to his guts and acumen. What does Miller like now? More than 25% of his portfolio was in financials as of June 30, 2009 and positions included State Street, NYSE Euronext, and Goldman Sachs. Bear markets do not end until behavior changes and the necessary lessons are taught. By all appearances, this process has been subverted by trillions of dollars in bailouts, stimulus, credit backstops, and injections of liquidity. Old habits die hard…, i.e., the secular bear is still a cub. Fund manager Ken Heebner, who Fortune deified one month ago (we blogged about it here), appears to have succumbed to the magazine cover curse. His CGM Focus Fund – packed with commodity, cyclical (steel), and emerging markets stocks – is down 11.55% for the first five trading days in July. The S&P 500 is -0.49% over the same period. Ken Heebner graces the cover of the latest Fortune with the title, “America’s Hottest Investor.” While we won’t begrudge Heebner the honor (his CGM Focus Fund returned 24% per annum over the past 10 years vs. 4% for the S&P 500), we’ll simply point out that such fanfaronade often tempts the investment gods. Ken Heebner is known for rapid trading (387% annual turnover) and pulling the plug quickly if he senses the investment winds changing. In any event, a 93.5% of portfolio bet that gains the adoration of a popular financial publication strikes us as some sort of bell-ringing event. 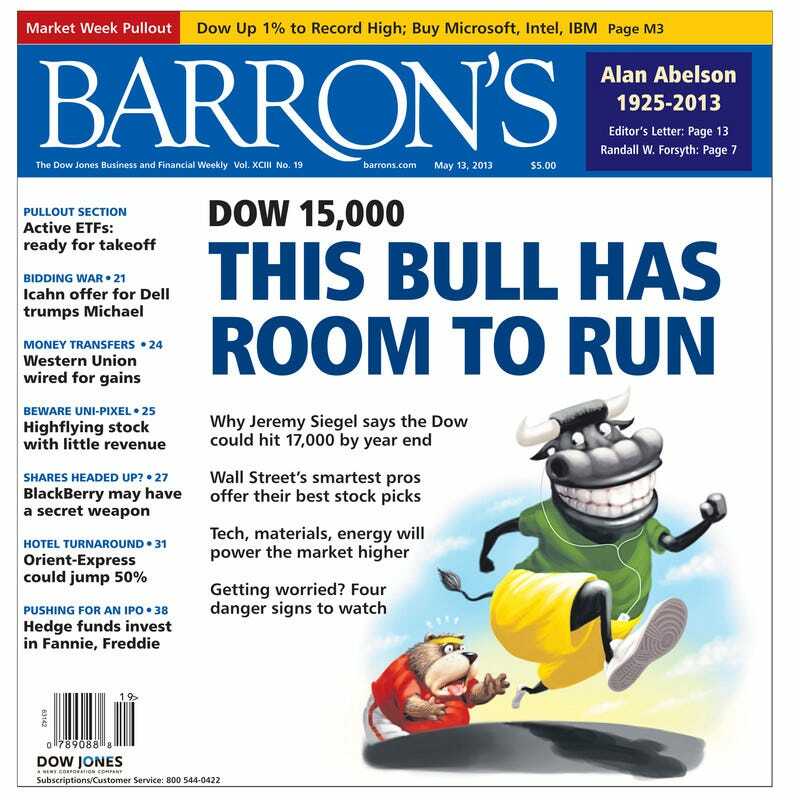 Addendum: The banner at the top of the November 28, 2006 issue of Fortune read “The greatest money manager of our time.” That distinction went to none other than Bill Miller, whose Legg Mason Value Trust underperformed the S&P 500 by 7.60% in 2006, 12.21% in 2007, and 12.81% so far in 2008.